Students from the Elite Preparatory Academy attending the Franklin Day Festival on Saturday, May 22nd at the Colonial Park in Somerset. Many of our students and parents helped out at our booth to tell festival goers about our school and other programs including Scholarships, Preschool, and Afterschool Program. 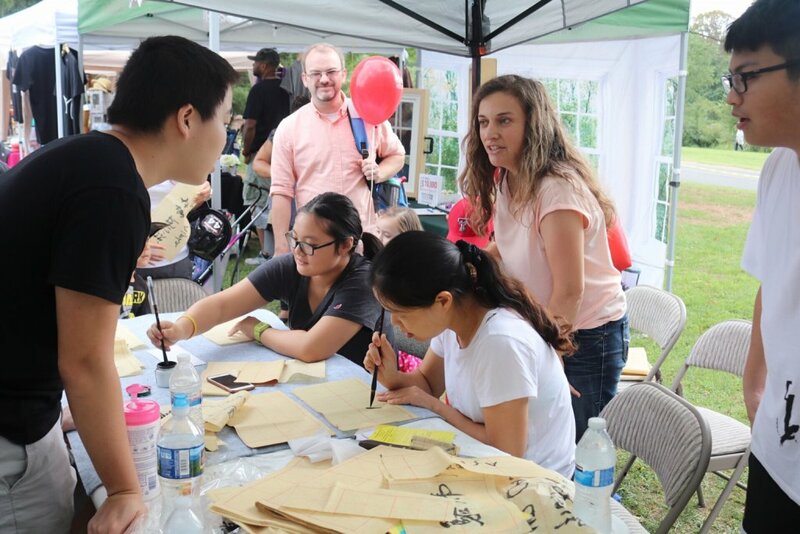 To make our booth even more amazing, we had student volunteers who did beautiful calligraphy and folded origami to give to people attending the festival. The fair was from 12 to 5 pm. Our students came before the start of the festival to help set up the booth and arrange flyers and brochures. Thank you to all parents and kids who came to pass out flyers and help out during the festival!